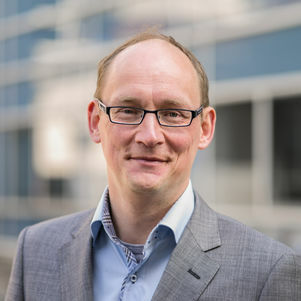 Haiko van der Voort (PhD) is an assistant professor at Delft University of Technology. As scholar Public Administration scholar, he earned his Phd with an extensive study on the governance of co-regulation, as a collaboration effort among public regulators, regulated industries, and standardization organizations. He has developed an assessment framework for co-regulation, that respects both public and private interests, as well as the dynamics of co-regulatory efforts. His current research is about the governance of regulation and enforcement in the digital age. New use of digital technology – such as big data, block chain, sharing platforms – will both facilitate and threaten the inspector’s job. It will certainly change enforcement as we know it, including the organization of inspections (on a micro-level), public and private regulatory arrangements (on a meso-level) and the way norms develop in the first place (on a macro-level). He recently published about the organizational politics of algorithms, risk governance and co-regulation. Haiko teaches Governance, Organization Theory and Decision Making Theory for bachelor students, master students, and professionals.